Over the weekend parts of Massachusetts received more than a foot of snow. Then early this week our temperatures were in the single digits. One degree. Three degrees. I went into hibernation mode. I never sat anywhere without a fleece covering, just wishing I could feel WARM. Even lying in bed I wished that I could feel like I was not continually on the verge of shivering! It is times like these that best motivate us to seek out warmer places, to just relax all the muscles and absorb the sunshine! Philosophies differ about when is the optimum time to seek relief from the cold. Some people like to get one more warm trip before the worst of the cold sets in. Traveling before Christmas makes sense economically as the warm weather spots have plenty of space and good airfares are available. These people are storing up the warmth in their bodies and souls to look back on when the temperatures drop. Others prefer to vacation in southern latitudes when winter is partially gone. That way they have developed an appreciation for what they are leaving behind. They know very well why they are going! The problem with that is that when they return they still have that much (or more) cold weather still to endure before they can relax into spring at home. My preference is to arrange a warming getaway near the end of winter. That way I have something to look forward to during the worst times. (Just three more weeks until I can relax like a cat in the sun!) Then when I return I feel like I am bringing spring home with me. Certainly there are ups and downs in the weather as it actually develops, regardless of when the weather USUALLY starts to improve. But we can only plan according to typical climate trends, not daily weather forecasts. But the length of the days IS predictable and reliable. Having sun for more hours each day truly makes a difference for me. How are you with extreme cold? If you, like me, prefer to thaw out and relax in the sun as an antidote to shivering frequently, I will be happy to help you plan some time away (early, middle or late in the winter). Think about it – and call me. I will be here near the phone and the fireplace with my fleece — and my imagination! TSA guy is singing 12 Days of Christmas, unaware that passengers, most of whom have been up since 5am, want to pelt him with our 3oz bottles. About six months ago my husband and I applied for Global Entry approval so that we could always go through TSA Pre✓ lanes at the airport AND have expedited treatment through the immigration lines when returning to the US. Little did we know as we completed the application that the wait time for the interview (required for final approval) would be six months. But they had our non-refundable fee (required at application) so we had no good choice but to wait. Every time I travel I resolve to memorize my passport number. Our appointment date finally came the Monday before Thanksgiving, so we went to the interview in a quiet corner of Terminal E at Logan airport. It is not easy to reach the interview center by telephone; you usually leave a message and no one gets back to you. But I did once reach a live person, soon after we completed the application. The agent I spoke with said that their appointment schedules are always fully booked but they occasionally have “no shows.” If we wanted to come in earlier in hopes of being there when an appointment failed to show up, we might be taken in on the spot. I considered doing that, but the prospect of sitting a few hours in hopes of success was not attractive enough to make me try it. But I saw that other people had not been dissuaded, as a few people in the waiting room with us were there without appointments. The waiting room in Terminal E had good chairs and a few brochures about TSA and Global Entry. Otherwise there were no amenities to make it seem welcoming. No frivolous government spending here! Every few minutes a uniformed agent came out from the door (marked with something like “Do Not Enter”) to see who was present as scheduled. As our first appointment time approached they offered to interview us together even though our appointments were half an hour apart. We were ushered into a warren of small offices furnished by the same utilitarian decorator who provided the waiting room. Our agent was friendly, organized, and complete in his explanations. He confirmed the information on our applications. (It turns out I really should have included my maiden name under “other last names” regardless of how long ago it was last used.) He took our pictures and recorded fingerprints electronically (all ten fingers, no ink). Done! The agent told us we would receive a confirming email within 48 hours. At that point we would be able to benefit from our “Pass ID” numbers. We have known for six months what our respective numbers would be but they had not yet been valid. Then within ten days we would receive photo ID cards, valid for use wherever a government issued photo ID is required. As research for this article I asked how their appointment times are running now. Is there still a six month wait? Until recently Logan’s office has been the only interview location available north of New York’s JFK Airport. This means all applicants in New England are funneled here unless they think creatively and apply for an appointment at another location (say, while on a trip to Chicago). But Homeland Security has recently set up an interview spot in the Tip O’Neill Federal building, and they are opening an office at the Providence airport. These alternatives should help a bit – but currently they are setting up appointments for July, 2017, so it is not getting better yet. The wait time for getting TSA Pre✓ approval is much shorter and costs less ($85 instead of Global Entry’s $100). More interview locations are available; a colleague had her interview in Burlington MA. We opted for the Global Entry ID because it includes expedited immigration benefits in the US in addition to the TSA Pre✓ access. The pass is valid for five years, expiring on our birthdays. 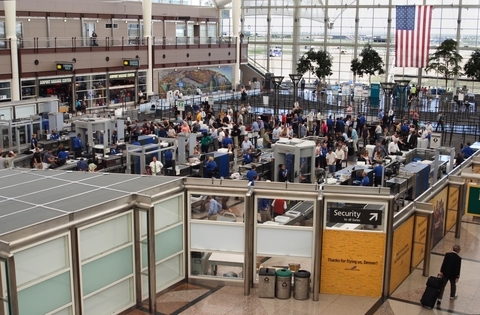 Once you have your Pass ID number, or “Known Traveler Number” for TSA Pre✓, you should pass it on to your travel agent and frequent flyer affiliations so that it will automatically be entered in your flight reservations. So my husband and I are “good to go” now. Right now our next planned trip is in May. Maybe we should fly somewhere before then just to try out the new numbers! Thank you, gentle readers, for being my correspondents. What is a writer if there are no readers? Certainly I have done most of the writing but some of you have written back to me regarding one post or another. I have appreciated every message sent my way, regardless of its content, but Mark Twain said it best: “I can live for two months on a good compliment.” I truly value your tolerance and attention and try not to abuse them. Thank you for letting me address you. Thank you for being my clients. As the airlines say, I know you have other options available to you as you make special travel plans. I hope you appreciate the added value and convenience I can bring to the table when you have an extraordinary trip in mind. There are many facets of your life which you entrust to specialists who deal with that topic all the time. If you would not replace your own furnace or cater your daughter’s wedding, why would you spend thousands of dollars on travel without getting help from an expert who deals with your concerns professionally? I have a wealth of resources to match your travels to your dreams, and I feel honored when you let me do that for you. But most of all, thank you for being travelers! If boundaries divide and travel unites (as I believe they do), then we will all be better off when we get to know each other better. Especially in this age of polarization, we need to seek common ground with each other. Seeing how the world looks from another person’s home town can be reassuring or frightening – but always enlightening. Feeling the heat or the cold of life on a different Main Street – or deep in the wilderness – changes the way life feels at home. Getting outside your usual comfort zone can feel disorienting and challenging, but it can also prove exhilarating and profoundly educational. Thank you for putting yourself out there to see the world as you have not seen it before. Thank you for your continuing curiosity about the world. May you experience happiness. May you bring light to someone else’s life. May you abide in joy. And may you allow yourself to feel gratitude, and to multiply that feeling by sharing it with those around you. 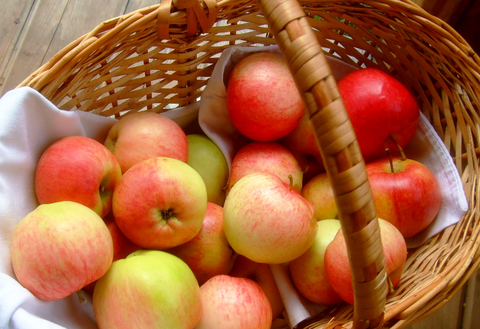 Wishing you abundance and a grateful heart. Making room in my brain for the results of the presidential election has been difficult. I did not expect Donald Trump to win and feel absolutely stunned at the final returns. It is clear that America is sorely divided. I am always (foolishly) surprised to learn that people think differently than I do. But clearly many people do hold opinions and expectations which differ from mine. Months ago, some commentators wondered aloud if Trump’s appeal was the same phenomenon which is cropping up all around the world, of people pulling inward. The attempted Scotland secession from the UK, the Brexit vote, the second thoughts which some nations are having about accepting refugees – all arguably could be expressions of protectionism, nationalism, and tribalism. If we all circle our wagons, we feel safer – for a while. Then after a period of separation, of thinking of us against them, our way or the highway, we lose track of what “those” people are really like. If we do not have consistent, multiple interactions with them on many levels, we become easy prey for the worst imaginings of our hearts. Everyday truth about how my neighbor lives and thinks is replaced by sketchy memories and stereotypes. We cease to deal with reality and guess about what might be the truth. On the other hand, if we are able to meet with our neighbors, we have a much better chance of knowing who they are, what is important to them and how we can best help each other. At church we talk a lot about “who is my neighbor?” and the answer is never “just the people who live next to you.” I am thinking further afield here. If we know from experience that Muslims are not the scourge of Satan, that not all immigrants are rapists and robbers, that women hold up half the sky and deserve to be treated as equals, then we have a better chance of understanding and living peaceably with each other. My tagline is “Boundaries divide. Travel Unites.” Like Anne Frank, I still believe that people are really good at heart. Yes, I want to sell travel but there is much more to it for me than making some money. I really feel that meeting people where they live can help us to be wiser, kinder, and better together. Perhaps we need to get to know each other better in the US first. Getting to know how the world looks from another corner of the country — or the globe — is important. How does the air feel, look, and smell? How crowded or noisy or quiet is it in another place? What do they eat for breakfast? What do they hope for their children? Experiencing another world can bring knowledge, compassion, and appreciation of both that place and our own home. I will continue to offer ways for you to cross boundaries. 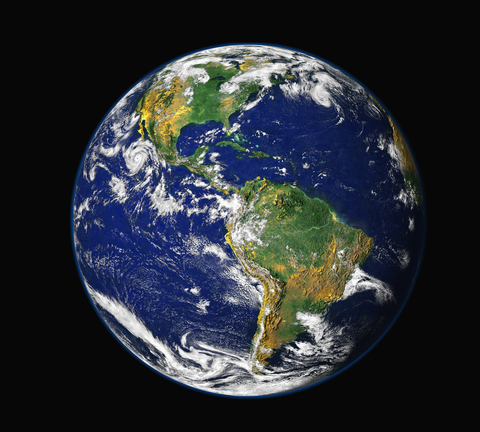 Together we can create a better world for everyone. ultimately do more to empower the Cuban people. 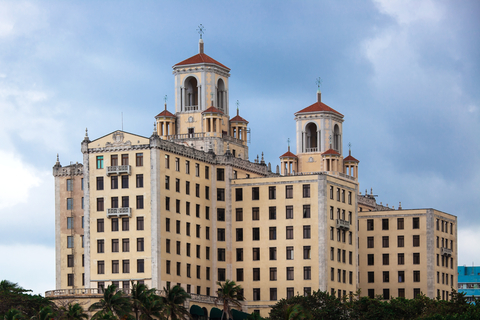 Almost two years ago President Obama began loosening the economic embargo against Cuba. Travel became easier in the following months but it is only now that travel there for US citizens is getting anything like easy and independent. Since I have had a few clients ask me about travel to Cuba recently, I will fill everyone in on what I have learned about traveling to this mystery destination. 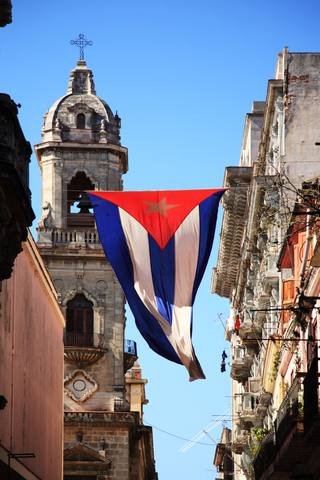 The US trade embargo against Cuba is still in effect – but restrictions have been relaxed significantly. We cannot call it travel for tourism purposes just yet, but you can get there more easily and travel more freely than before. In the past, US citizens had to travel to Cuba on charter flights as part of closely controlled groups on specific “missions” to the island. Or the more daring travelers could connect by way of Canada, Mexico, or another country friendly to Cuba, and possibly be challenged by US immigration upon their return. But scheduled flights are in place starting the end of November for flights from Miami, Fort Lauderdale, or New York airports on the big three airlines — American, Delta and United. When I check availability for these in my agent system and online, connections are tagged “Subject to Government Approval.” The ink might not be dry on these plans yet, so further research would be needed before we spend money on these flights. This caveat also means that US citizens traveling to Cuba need a visa to visit Cuba for a particular reason. Unless you are going for religious, family, journalism, medical or a few other approved reasons, the visa qualification most applicable for general travel (stealthy tourism) would be to participate in a “people to people” program. Travelers would have local tour guides and perhaps visit homes in order to really meet the people of the country we have been curious about for so long. In a change from previous requirements, visitors from the US can travel on their own now as long as they build in a few guided tours during their visit. This makes perfect sense to me since having guided tours is the most efficient way to learn about a new place. Getting the visa is easier and streamlined if you work with a tour operator who can book the required components for you and provide the applicable visa code. Buying travel insurance is possible but more complicated than if you were going to a country with no travel restrictions. Additional forms and documentation are required, but the tour operator and I can help you deal with these questions also. All of this sounds off-putting, I know. Usually I like to emphasize the curious, charming, or inspiring aspects of a destination. But since Cuba is different, I wanted to outline how much easier it has become in recent months. Some of us who remember the Cuban missile crisis have been wondering for years what things are really like there. By the time I was teaching high school students about The Old Man and the Sea, Cuba had been a forbidden island for a decade. 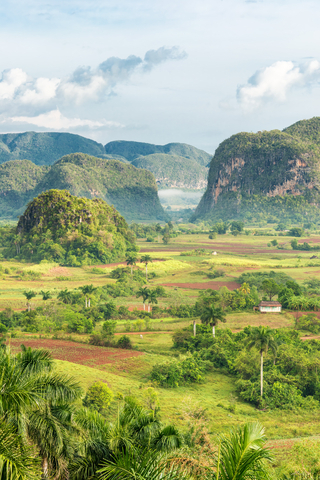 Now is the time to get an early view of the Cuba we have never known. If you want to go soon before the visiting Yankee traffic changes the landscape, call me! Halloween is the second most profitable holiday in the US, especially popular with costume shops, candy makers and special event planners. For mainline America the holiday means pumpkins, ghosts, and “fun-size” candy bars. But in the Southwest there is an extended holiday with an entirely different flavor. In Arizona, Texas, New Mexico, and Mexico, the Halloween season is expanded into Dia de los Muertos (Day of the Dead) and people come from far away to celebrate. In the Christian calendar, Halloween (All Hallows Eve) is the night before All Saints/All Hallows Day, November 1. The day after All Saints Day is Day of the Dead when all the deceased (saintly and otherwise) are remembered, often with a sizeable side helping of humor. Especially in the Colonial towns of central Mexico, cemeteries resemble a combination tailgating party and family reunion as families tidy and decorate the graves of their ancestors. 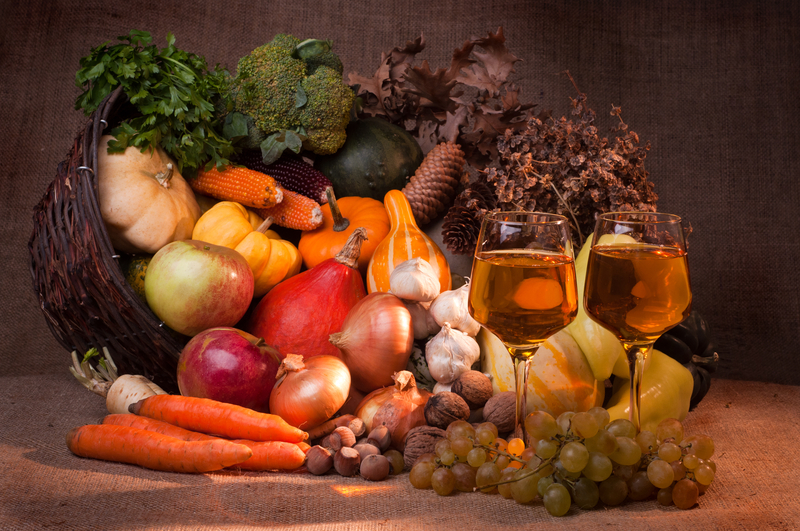 Surrounded by food, flowers, pictures and sharing of memories, people gather to remember and honor the deceased relatives. In their homes people build small altars (ofrendas) decorated with marigolds, favorite foods, and other mementos of the departed relatives. On the Day of the Dead people don macabre costumes (Calaveras) with lots of skeleton images on otherwise black clothing. Two years ago our son dressed up with a group of friends to ride their bicycles in the neighborhood Marigold Parade in south Albuquerque. (We enjoyed a few laughs with the crowd when they cycled past us and he and his friends called out “Hi Mom!”) Many parade spectators were dressed in even more elaborate costumes. Here are some of the costumed parade participants from the rainy day parade in Albuquerque. Our son and friends are in the center of the back row. 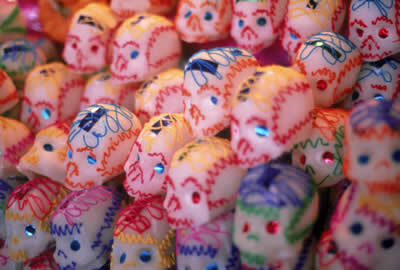 Sugar skulls are the favored candy for Day of the Dead. Altogether the atmosphere is lighthearted, celebrating life and taking the sting out of death. Rather than focusing on Halloween’s ghouls, zombies, and ghosts for the fear factor, Dia de los Muertos takes friendly pokes at the condition we will all know eventually. If you want to plan now to get a new perspective on the spectral season next October or any time, just let me know. Take Care of the Animals! “Those who wish to pet and baby wild animals ‘love’ them. I read this week that TripAdvisor will no longer sell tickets to many animal attractions. The top internet travel review site consulted with animal welfare groups over a six month period and decided not to implicitly endorse attractions “where travelers come into contact with wild animals or endangered species held in captivity.” The attractions include swimming-with-dolphin experiences, elephant rides and petting of endangered species like tigers. TripAdvisor also will create an educational site to inform users of animal welfare issues, and encourage reviewers to include animal welfare concerns in their reviews. Hopefully these actions will enable travelers to make better informed decisions about their choices – and in the long run – increase pressure on operators to treat animals more humanely. Not all human-animal interaction offerings will be dropped; many which include educational benefits and carefully controlled interactions will still be included on TripAdvisor’s site. 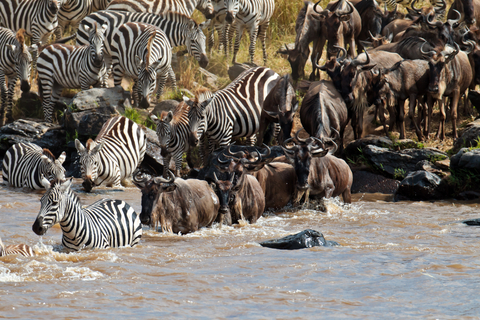 Seeing the migration of wildebeest and zebra crossing the River Mara is an experience of a lifetime. Many typical human-animal interactions can be retro-fitted with great benefit. One example of the shift from abuse to nurture and education came in Southeast Asia where elephant rides are widely available. Thailand’s Elephant Nature Park offers a different experience where visitors can help to feed and bathe rescued elephants and other animals. 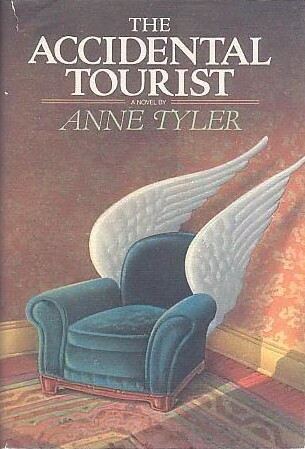 What can the curious traveler do to know the better operators from the abusive ones? Remember that each operator is in business to make money. This offers the temptation to cut operating expenses (food, space, water, personnel training, scheduling) to a minimum. Making a barely living wage is not much incentive for trainers who must then push the animals to do more and more. One piece of advice for the thoughtful traveler is “if it smells bad – literally – it probably is bad” for the animals. But booking attractions ahead of time does not allow the sniff test. Internet reviews (such as will become available on TripAdvisor in the coming year) can help travelers evaluate whether they want to support an operator with their attendance. Wildlife tourism can be an immensely rewarding endeavor, putting people in touch with facets of the world which they never would have imagined. Reputable operators such as those affiliated with Virtuoso take great care to provide ethical experiences which preserve and support the animal population and their environment. The responsibility remains for consumers to keep questions of ethical treatment of animals, workers, and the environment in mind as they make their choices. TripAdvisor is taking a step in the right direction. I will be happy to help you plan for your experience in the wild, too! There is no substitute for being in the right place at the right time. Going skiing in “mud season” just doesn’t work, even though there is plenty of room on the slopes and the rates are low. The cherry blossoms are not evident around the Tidal Pool in Washington in August and the heat and humidity will wilt any casual visitor. But visit these places at the right time and you will go home with iconic memories. Have you thought ahead to the seasonally special places you might want to visit in the coming year? 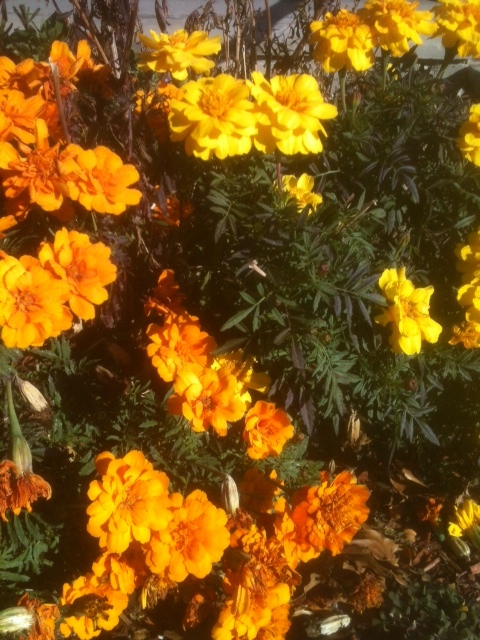 Let’s consider the seasons in turn and expand the horizons of the possible! 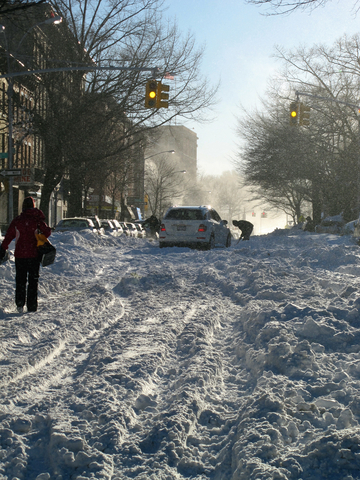 Winter – Do you seek warmth or a better cold? Skiing in Colorado or British Columbia gives you your own patch of perfect powder, with plenty of creature comforts après ski. 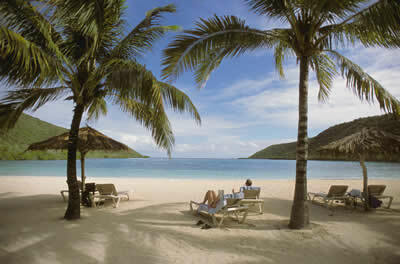 If you seek deep warmth in sun and sand, there are plenty of Caribbean islands to visit. Or you could venture to Tahiti for a different culture experience. What better place than Tahiti to get the chill out of your bones? Spring – Washington DC and Virginia have blossoms and full-blown gardens weeks earlier than we have in the north. But for a maximum treat, visit the Netherlands to see where these blossoms are developed and cultivated. 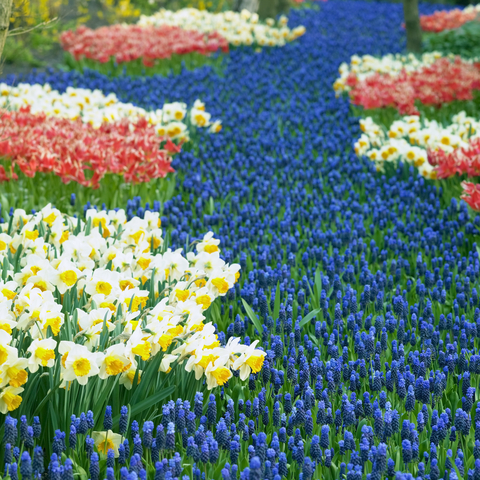 Imagine the extravagance of this display at Keukenhof Gardens in the Netherlands. Summer – This is the perfect time for a road trip visiting national parks, especially in the west. 2016 has been a centennial year for the park system but you will be entirely welcome in the 101st year too! The solar eclipse will pass near some great parks and landscapes this summer. Seeing that would add an unforgettable centerpiece to the typical tour of Big Sky country. If you want to go farther from home and have a smaller scale experience, you could go rambling in the British Isles. Villages, sheep, hills and valleys will lure you onward at a very manageable pace. Consider “doing it right” this year even if you usually skip the obvious choices. The obvious choices are obvious for good reasons. Try them out to understand what all the excitement is about! 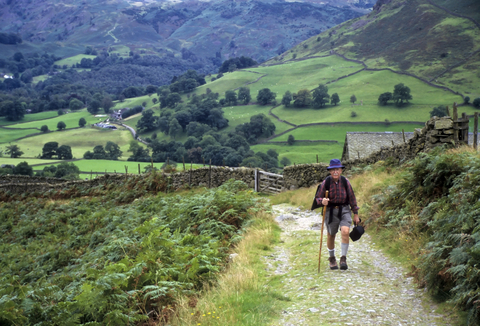 The fresh air of England’s Lake District will make a poet of anyone. Sometimes planning a trip can be quite a feat of juggling. Do we plan the flights first? Or book the resorts and activities and then look for flights? On some trips it seems you have to do everything first, but there are ways around that. In deciding how to arrange you travel plans, I rely on a maxim popularized by Stephen Covey: put the big rocks in first. 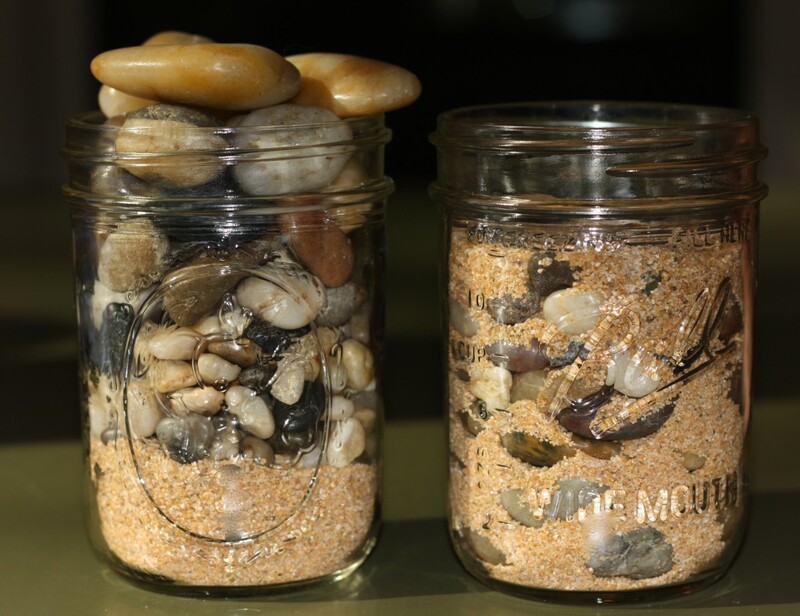 Imagine that you have a quart jar and a collection of sand, pebbles, and fist sized rocks. All of these will fit inside the jar, and doing that is your task. If you put the sand in the bottom, then the pebbles, you will probably have big rocks sticking out the top of the jar. But if you put the big rocks in first, surrounding them with pebbles, the sand will fill in the smallest gaps and everything will fit. (You could even pour in a few cups of water to make the jar truly full.) What looked impossible can be done, with room to spare. This is true of organizational and life goals as well, but I just want to look at travel planning today. Putting the big rocks in first makes the rest easier. What is the centerpiece of your trip? If you are going to see the Rose Bowl Parade in Pasadena on New Year’s Day, or view the solar eclipse next August in Wyoming, that event is THE biggest “rock.” You need to enter it on your calendar in INK. Everything else has to fit around that. Once that is in place you can plan your accommodations, arrival and departure, and other activities you want to enjoy while you are in the area. But perhaps your intent is to visit longtime friends who have no restrictions on their calendar. They want you to stay an indefinite amount of time, whatever works. But you want to take this opportunity to use up all those frequent flyer miles you have been accumulating for some grand excursion. The frequent flyer tickets will probably be your biggest “rock” as you compare space available to and from various airports for the optimum price and dates. Once that is scouted out, you can compare calendars with your friends and then purchase those tickets. Once in a while it seems that you only have big rocks, no pebbles or sand. The flight availability is restricted, forcing choices between various inconvenient times and high prices. The ski slopes and beach resorts are almost completely booked for holiday stays, and your family all have slightly different schedules. At times like this we wish for elastic jars, magic, and miracles – or we make compromises. The best cure for this situation is to prevent it by starting your plans early. But that does not help much if you have begun late. Sorting priorities is vital to good trip planning. Knowing which parts of the plan can be flexible and which are fixed helps to make the path clear. I will be happy to help you sort out where the wiggle room is in your planning. Call me! The best surprise is no surprise. Many factors go into the selection of the perfect hotel for each vacation. Most people start with the price point they feel comfortable with; what is the best room that can be had for that price? Others start with a hotel name they have heard about then ask what the optimum price might be for a room at that hotel. Paying $95 a night for a broom closet (complete with smelly mops) is not a bargain, even at the Ritz! There is much more to think about than price. Many hotels offer “just like home” comfort. First, do you want to repeat a predictable experience you have had before? Macon Leary, the change-phobic protagonist of The Accidental Tourist, preferred places which were so much like home he would never feel displaced. Most of us are not THAT set in our ways, but there is a time and place for having a room with no surprises – pleasant or unpleasant. If you are feeling like having a room which is the equivalent of nursery food (I don’t mean that as a put-down) then chain hotels are for you. If you travel a lot for business and can join that hotel’s benefits program, so much the better. On the other hand, if you are traveling to have a new experience, seeking out unique hotels will pay off nicely. Independent hotels are much more likely to give you a better sense of the place you are visiting. They offer unique architecture and a local atmosphere which the cookie cutter hotels cannot. Often these hotels are older and can reward you with the best beach (because they were there first) or the prime location in the historic city center. Many analysts might try to tell you which hotels are “the best.” I consult TripAdvisor.com occasionally and find their ranking system unique. Apparently they rank hotels in a city according to customer satisfaction. Sometimes the satisfaction rate for the folks who stayed at the Golden Canary Motel ($75 a night, 6 rooms, no air conditioning) is as high as for the people who lounged in the Posh Palace ($600 a night, 350 rooms, air conditioning and waterslides). Does that mean the two hotels are equal, or that you will have the same experience in both? No. More likely it means that these people all chose the hotel which offered what they wanted, and they were happy with their choice. It is important to read the comments about why each place enjoys those ratings. Let me know if you would like a paper copy of the directory for yourself. Who says a hotel is “the best”? 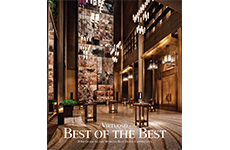 Virtuoso (the consortium I work with) publishes a catalog of their hotel collection, encouragingly titled “Best of the Best.” All hotels in the collection are excellent (and customers who book these hotels through me receive additional complimentary amenities!) But we should not expect that the title means “all the world’s hotels were independently juried for excellence and these are the winners.” There are other excellent hotels which are not members of Virtuoso. Sometimes you can find a unique hotel which has affiliated itself with a major chain. Hilton now has their Waldorf Astoria Collection (including my favorite, the Arizona Biltmore in Phoenix). Marriott has the Autograph Collection, and Starwood has the Luxury Collection. These affiliations give you points, benefits, and the reliability of your preferred chain connection at a unique, often famous property. The important thing in each hotel decision is to sort out which kind of hotel you are looking for in your travels. It might vary from trip to trip, or even within the same trip. Think seriously about what you are looking for in your accommodation. I will be happy to help you sort out how it should accommodate YOU. 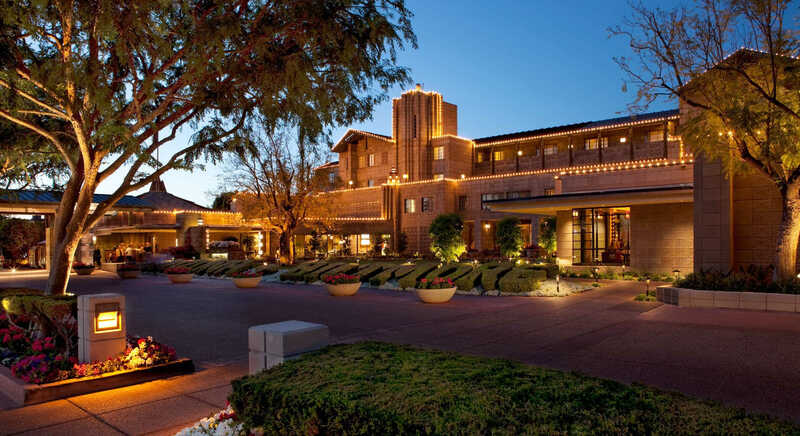 The Arizona Biltmore, from Frank Lloyd Wright’s design team, is now affiliated with Hilton.